Themes are visually important to your site. They help by laying out the site in a specific way and even the coloring of the theme can help customize the site. If you have a theme that you enjoy but would like to explore different color options, then you may want to take a look at that themes Color Sets. A color set is a predefined set of color combinations that come with a theme. 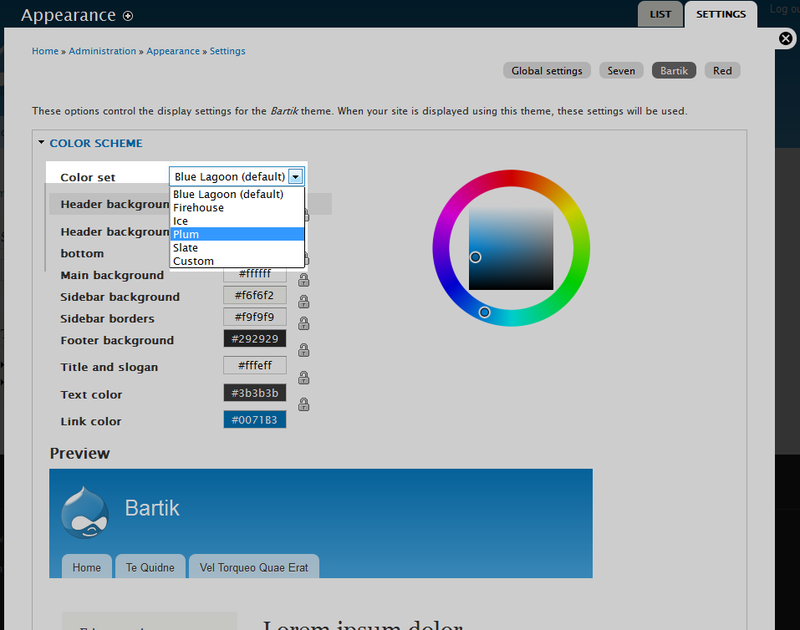 This article will show you how to change color sets within your selected Drupal 8 theme. Next, click on Appearance from the secondary menu that appears. You will now be on the main Appearance page where you will see a list of all the themes that are available. Find the theme you want to work with and click on the Settings link for that theme. 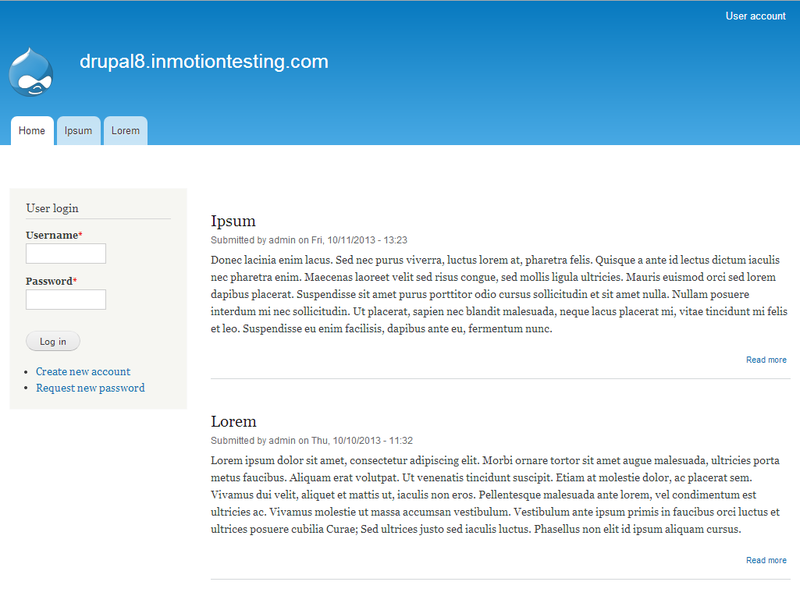 In our example, we will be working with our active theme, Bartik. Now that you are on the Settings page for the theme you will see the Color Set option at the top. 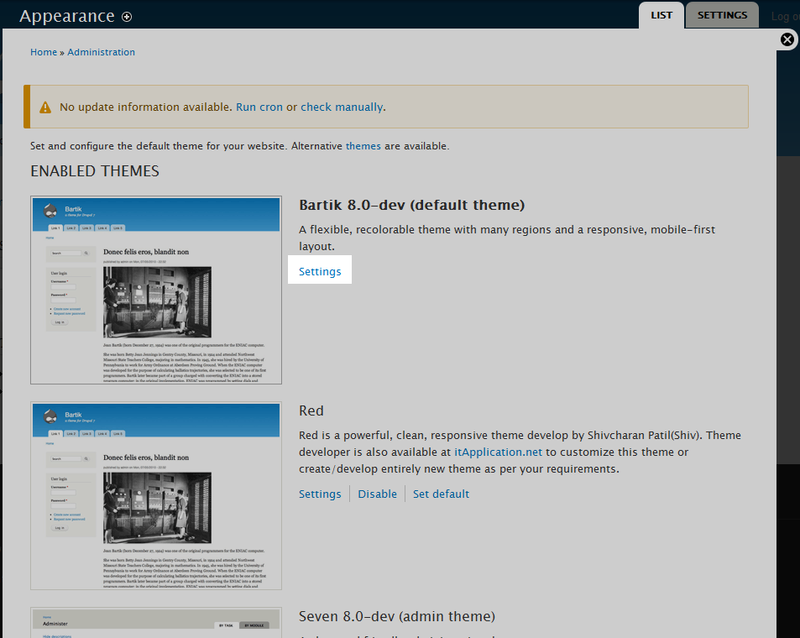 Click on the dropdown to see the various predefined sets for your theme. From here you can select a new color scheme. 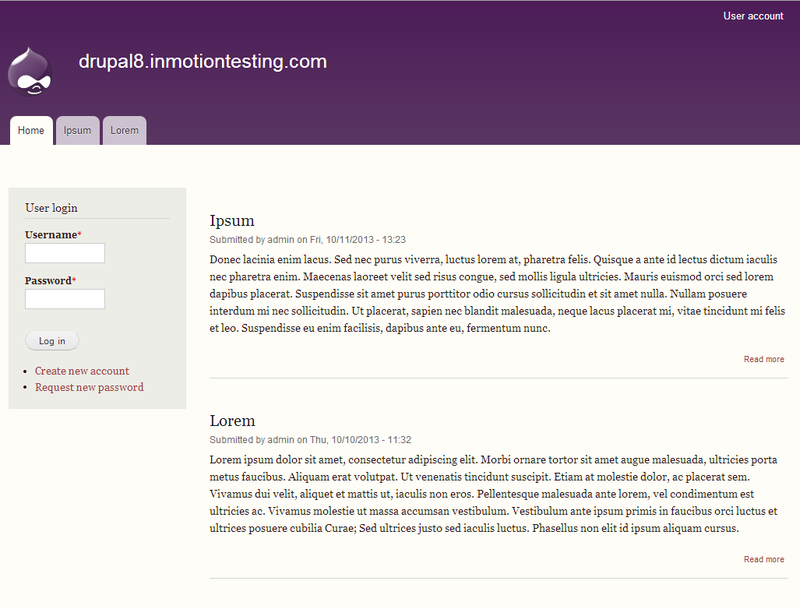 We will choose Plum from the dropdown for our example. As you click on the selection, you should have a Previw section below that demonstrates how your selection will appear on your site. Once you have chosen your new color set, click on the Save Configuration button at the bottom to save and activate your changes. Below you will see the before and after screenshots of changing the color set within our test site.